Posted below are David Frum's answers to your questions. David's excellent blog can be read here. Donal Blaney: "What is the main lesson for British Conservatives to learn from the electoral successes of the Republicans at Presidential, Congressional and Gubernatorial level in the last decade?" Frankly, I think you have more to learn from Republican failures. Under George Bush, Republicans tried to reinvent their domestic policies to meet perceived political and demographic needs- regardless not only of principle, but also of internal coherence. The result has been policy failure (the kindest term I can think of for attempting to merge a huge tax cut with a huge new prescription drug entitlement benefit), but also political disappointment, as the president has ended up alienating much of his voting base without obtaining the secure new majority he sought. I am not saying that Republicans and Conservatives must adhere forever to their old-time religion. That obviously stopped working in the 1990s - but only that attempts to broaden their appeal must make philosophical sense, rather than be assembled like tinker-toy out of focus-grouped-approved concepts. Any questions for Tim Montgomerie? Tim Montgomerie is Editor of ConservativeHome.com - which marks its first birthday today. Before starting ConservativeHome, Tim helped Iain Duncan Smith found the Centre for Social Justice. Before then he ran the Listening to Britain's Churches consultation process for William Hague and ran a civil society policy unit at CCO. In January and February he was in Washington DC for Francis Maude - understanding how the Conservative Party might make best use of internet campaigning technologies. As you can see from the photo, Tim is ready for your questions about ConservativeHome and its future... Please post them on the thread below. PS Tim was recently interviewed by Jonathan Sheppard of ToryRadio. That interview can be heard by clicking here. 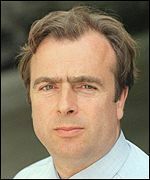 Mail on Sunday columnist Peter Hitchens answers questions posed by ConservativeHome readers a fortnight ago. For those who enjoy Peter's forthright views he has his own blog... here. Chris Palmer: "Do you believe the media needs to be regulated in any way? Currently politicians are frequently and consistently run into the ground by journalists, sometimes on the basis of lies and deception (I cite the Mirror and Piers Morgan as an example.) Politicians have a very strict code by which they can act and talk - yet journalists have no such similar code to conform to. Is not about time that journalists were themselves regulated or called to account for the mistruths they sometimes peddle, so if for example they knowingly print lies, then the paper must be forced to take out full page ads apologising and setting the record straight?" No. I oppose any regulation of the press, because of the danger that it will be used for purposes of censorship. I think Britain should have its equivalent of the US First Amendment, which specifically prohibits any such regulation, and agree with the amendment's author, Thomas Jefferson, that - forced to choose between a government without newspapers or newspapers without government - he would pick the latter. Our competitive, privately-owned newspaper market is unique in the world, and is most rigorously regulated by the decisions of readers to buy or not to buy. Newspapers do not begin to have the same power as governments. I am unaware of any 'strict code' which governs politicians. What is it called? Who enforces it? Even their advertisements are exempt from the requirement to be decent, honest and truthful. For the last half-century our political elite has actively misled the population on foreign and domestic policy and in many cases blatantly lied to it, without consequence. Such people need to govern themselves better, not seek to regulate the press which is one of the few forces that can restrain them. No, the media are not perfect or faultless, but their faults are the inevitable consequence of their robust freedom and in my long experience of the trade of journalism, I can say that it contains a very large number of people who try, often under very difficult conditions, to discover and report the truth in a disinterested fashion. Enoch Powell, wrong about much, was right in one thing - when he said that politicians complaining about the press were like sailors complaining about the sea. Any questions for Bernard Jenkin MP? 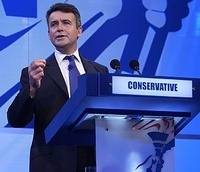 Shortly after the A-List was announced Bernard Jenkin MP, Deputy Party Chairman for Candidates, addressed ConservativeHome readers' questions in a Q&A session for the GoldList. This week Mr Jenkin and Francis Maude have announced a new, three-stage candidate selection system. Mr Jenkin has agreed to answer ConservativeHome visitors' questions again on all issues relating to candidates. Please email any questions to [email protected] or post them in the comments section below. 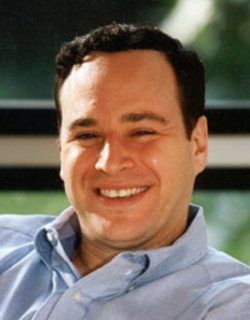 Any questions for David Frum? David Frum has kindly agreed to be ConservativeHome's fourth Friday interviewee. He was a speechwriter to George W Bush from 2001 to 2002 and is widely credited with writing the 'Axis of Evil' line. A neoconservative supporter of the war on terror, Mr Frum currently works at the American Enterprise Institute. Last year he used his blog to lead opposition to George W Bush's nomination of Harriet Miers to the US Supreme Court. 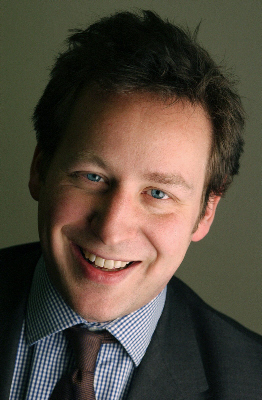 Mr Frum, born in Toronto, is an informed observer of Canadian politics and an enthusiastic Anglophile, he regularly appears on the BBC. His is currently writing a book on the future of the Republican Party. His recent books include 'An End To Evil - How To Win The War On Terror' and 'The Right Man - The Surprise Presidency of George W Bush'. a-tracy: "Why is there hardly any mention of you being a 'Conservative' MP on your website?" MPs’ websites are paid from their Incidental Expenses Provision, because they are a way of keeping constituents informed of their activities in Parliament and in the constituency. The use of party political material is prohibited. That is why my web site, and indeed that of your previous correspondent Ann Widdecombe, is generally free from party political material. I am of course very proud to be a Conservative MP. I have worked for the party in one capacity or another since I was a teenager – the majority of my life. This has included a stint at central office during my gap year, a prominent role in my University Association in the late 80s, a ward chairman and Treasurer of my Association in the 90s, a candidate in two Labour-held council seats and one Labour parliamentary seat, two years as a desk officer in CRD, being a campaign aide to Iain Duncan Smith and a year for Michael Howard as his speechwriter. That is why I am so passionate to see the party I have supported all my life adapt and change to the new electoral landscape, so that we can return to Government and set about making Britain a better place to live.